Ashley is PolishAddicted: British Day for the Queen's Jubilee! My blogging friends and I had so much fun with Holo Day that we decided to start doing more themed group mani days! I hope you enjoy them! In honor of the The Queen of England's Diamond Jubilee (60-year anniversary) we decided to do British-themed manis and use polishes that are made in England. How amazing is it that Queen Elizabeth has been reigning for 60 years?! Pretty darn amazing. Anyone who knows me knows that I have a love for England. I think it is gorgeous and I love British accents. LOL I have never had the chance to travel there but hope to someday. Needless to say I was very excited about today's theme! For my polish I decided to use the British-based Illamasqua. I have had Baptiste for months now and it has just been sitting in my untrieds. SHAME ON ME. Since Queen Elizabeth's favorite color is purple (or so I've heard LOL) and it is a very rich, royal color I thought this was the perfect occasion to finally wear it! I am so glad I did, it is stunning! It's a rich dark purple but has a pink shimmer that really sets it apart from other purples. I had a hard time capturing that but you can see it in my sunlight photos. Just keep in mind that it is better in person! I wanted to add some glitz to it and make it fancy and classy at the same time. I decided to sponge some glitter onto my tips and add a crown stamp on my ring finger as an accent nail. I am really happy with how it turned out! I used Orly Tiara (how fitting haha) on my tips and Pure Ice Silver Mercedes for the stamping. All photos were taken outside. Some were taken in the sun and some in the shade. What do you think of my Jubilee celebration mani? 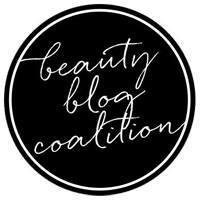 Make sure to check out the links to all the other awesome bloggers below! They will be added throughout the day so make sure to check back later for new posts.There are some amazing posts coming your way! I love the stamp addition! Gorgeous look! Well, I'm partial to purple anyway ;) But very nice! The shimmer in that Llamasqua is amazing! Nice! I love love love this polish. I even own it :) Yeah me! I see you did get the stamping gene. Good for you! omg i love this so much!!!! so perfect for british day, Ash!! Love it! I was looking at that color and was on the fence. I just fell off! Like it a lot! I love the colors you used. What a beautiful colour! I really want Baptiste now! Great job, Ashley. Me too - damn wish list!! Me three - damn bank account!! In LOVE with Baptiste, in LOVE with the crown stamp, in LOVE with the blingy glitter! Perfection! It looks GREAT on you and I really love the sparkly addition and the stamp! it looks sooooooo pretty ! This is a beautiful Jubilee mani! The crown stamp and silver glitter just makes it wonderfully regal. Love it! I wish I had the first BM sets! I wanted to do a crown too! GREAT JOB! Baptiste is the most gorgeous purple on the planet and I have a lot so I feel confident in saying so!!! I love your glitter tips and the crown stamped accent nail! Love love love Baptiste!!! And I love your glitter tips and the crown! I think it looks fantastic!